Identify fraudulent in-clearing checks within your institution’s hold window. Even though their overall usage continues to decline, checks are a primary method of attack for criminals. This makes them a serious fraud threat and check fraud detection a challenge for institutions across the country. Verafin analyzes your customers’ in-clearing check activity to alert you to potential kiting activity or indicators of counterfeit and stolen checks. Plus, with the help of Verafin’s check imaging functionality, you have the tools you need to make quick and informed decisions on potentially fraudulent check activity. Verafin analyzes a customer’s check activity for indicators of stolen checks. You are alerted to the presence of a wide range of potentially suspicious activity, including unusual dollar values, large check number sequence gaps, and duplicate check numbers. To help you uncover check kiting activity, Verafin considers a customer’s deposit and withdrawal activity, while also analyzing account balance for potential float loss and excessive unusual behavior. Verafin provides you with the ability to view images of potentially suspicious checks within the alert. At a click, you can view the front and back of a check, compare features against other checks drawn from the same institution or written by the same payer. Verafin’s check kiting alerts warn you of potential kiting activity before the fraudster adds more checks across additional accounts. Thieves will often target mail boxes, homes, and businesses to steal identity documentation and obtain blank checks. The presence of a stolen check helps you isolate this activity and alerts you to groups of checks that are potentially compromised. Verafin’s check image functionality gives you the ability to visually compare checks by payee and originating FI without having to leave the alert. 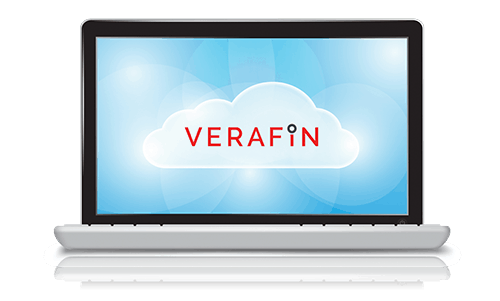 Interested in learning more about Verafin's Check Fraud Solution?